The days are getting shorter. There is a bit of a nip in the air. This could only mean one thing…. It’s time for our biggest party of the year, Silent Night Day 2013! 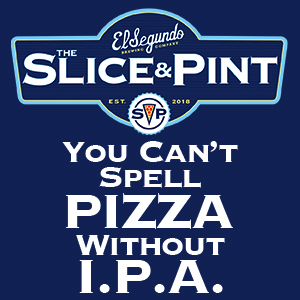 The party starts at the brewery at 1pm on Saturday, November 23rd. 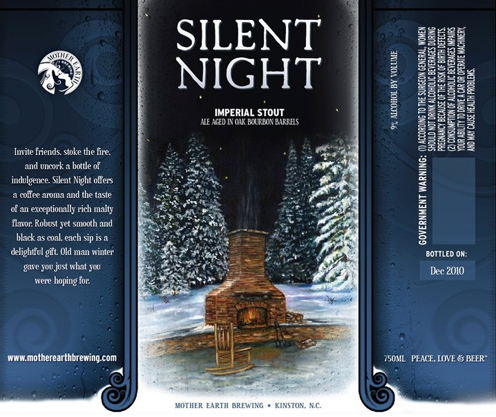 We will have, of course, the 2013 batch of Silent Night, our bourbon barrel aged Imperial Stout, on tap for the first time. We’ll also have 2010, 2011, and 2012 Silent Night on tap as well, so you can try a four year vertical tasting of all the Silent Night brews we have ever produced! 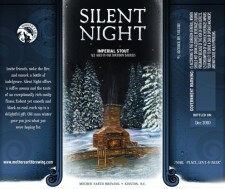 The 2013 Silent Night 750ml bottles will be available for purchase for the first time as well. Bottles are priced at $16 each, and there is a limit of 3 per person. 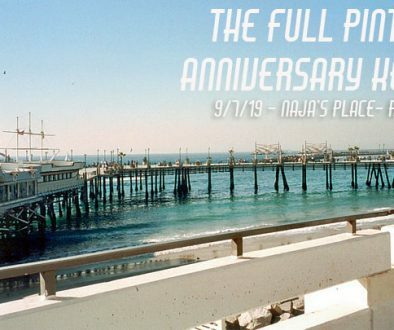 This year’s release party will feature something very special. Our friend Chef Keith Rhodes, owner and Executive Chef of Catch Modern Seafood in Wilmington, NC, is bringing his Catch Seafood Truck up from Wilmington just for our Silent Night Release Party! The award-winning Chef Rhodes founded Catch Modern Seafood with his wife Angela in 2006. Their restaurant works with local organic farmers, local fisheries, and those with sustainable fishing practices. Chef Rhodes is quickly becoming known as one of the region’s best chefs, being named a James Beard Award Semifinalist for Best Chef in the Southeast in 2011, and was a contestant on Season 9 of the hit television show Top Chef. Keith has promised to bring his A-game and cook up something extra special to pair with Silent Night for the event. We can’t wait to see what he has cooking, but we know it will be delicious with our Silent Night! Coffee is a key ingredient added for flavor in Silent Night, and once again this year we’ve hooked up with our friends at Counter Culture Coffee in Durham, NC. Just as in years past, they have put together a special blend of coffee exclusively for this year’s batch of Silent Night. To celebrate on release day, Matt Souza of Counter Culture will be hanging out in the Tap Room with a commercial espresso machine, making lattes, Americanos, and other awesome coffee drinks using the Silent Night blend! The Silent Night release party will also mark the grand opening of our new Mother Earth Trading Post retail shop! It’s located next to the tap room and is accessible from its main entrance on North Street, as well as through interior access from within the Tap Room. You will be able to browse around and purchase all sorts of awesome Mother Earth t-shirts, glassware, and other fantastic items! Last year, the Silent Night Release Party brought folks from far and wide, and we’re expecting this year to be even bigger! In an effort to encourage folks to come and stay and enjoy the entire day, we’ve secured a special group rate at the Hampton Inn of Kinston. Folks traveling from out of town can call the Hampton Inn directly at (252) 523-1400 and reserve your room under the group name Mother Earth. This special rate will be available until all the rooms in the block are reserved, or until November 16th, so don’t delay! 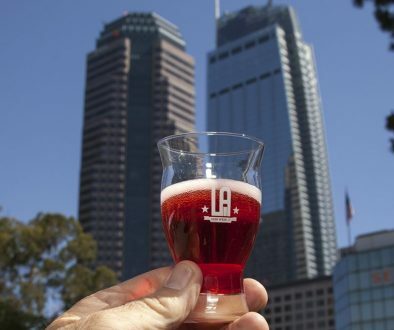 We’ll also be running a FREE shuttle to and from the hotel all afternoon and evening, so you can enjoy all of the festivities of the day and get you back to the hotel safely. Last year’s Silent Night release was the biggest party we’ve ever had here. We had so much fun hanging out with you all! 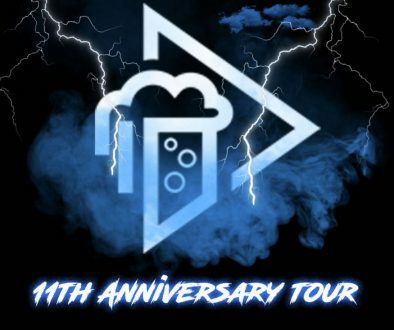 We are looking forward to seeing old friends and meeting new ones on one of our favorite days of the year, at an event that is quickly becoming one of the best beer events in North Carolina! More information will be added here as it becomes available, so keep checking back for updates on the happenings of the day. We can’t wait to see you on Saturday, November 23rd and share the Silent Night experience with you!